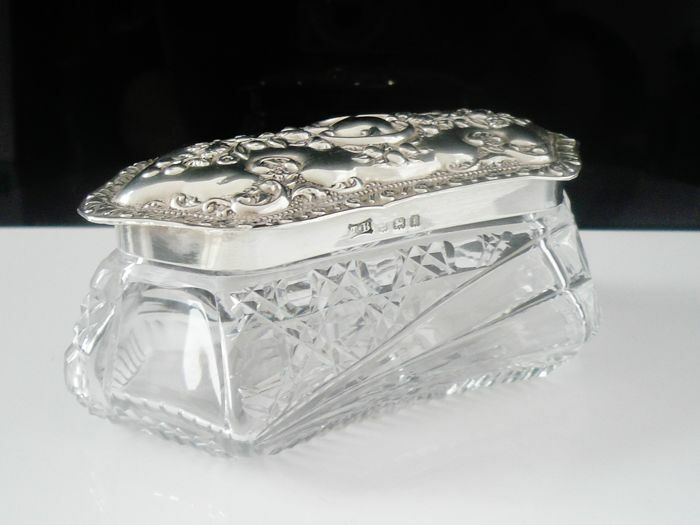 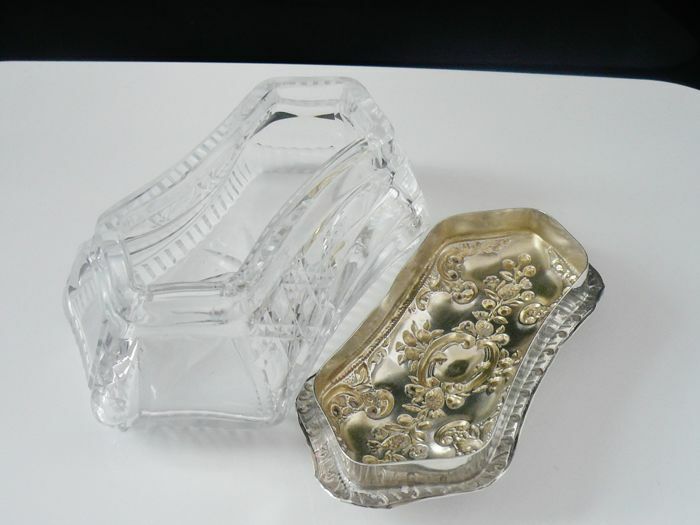 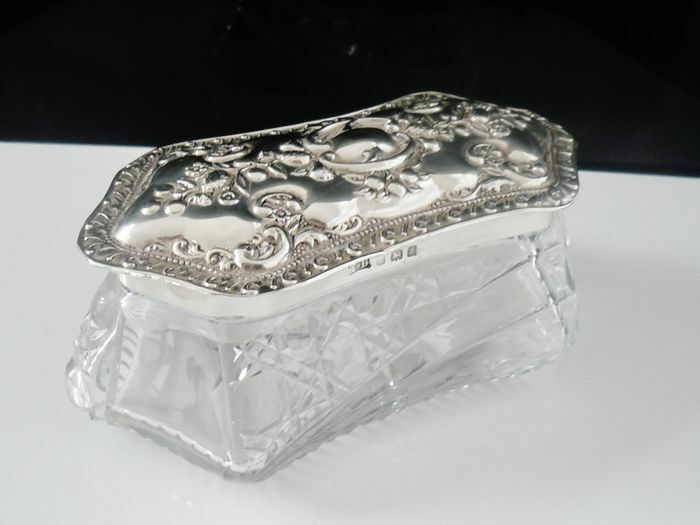 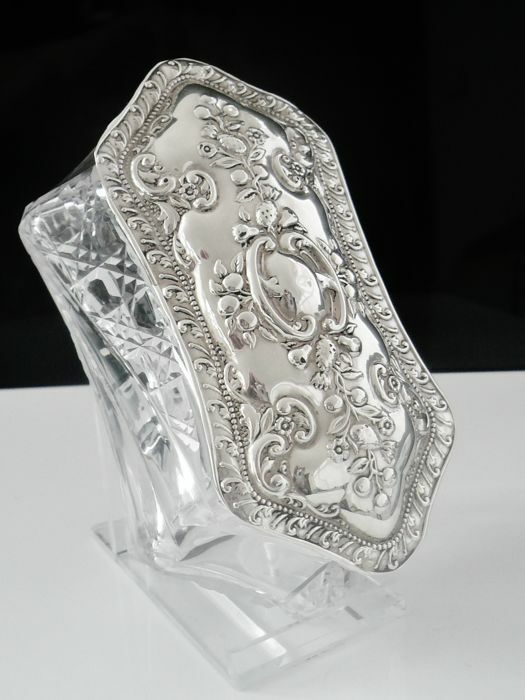 A very stylisy English Art Nouveau sterling silver lidded cut glass trinket box. 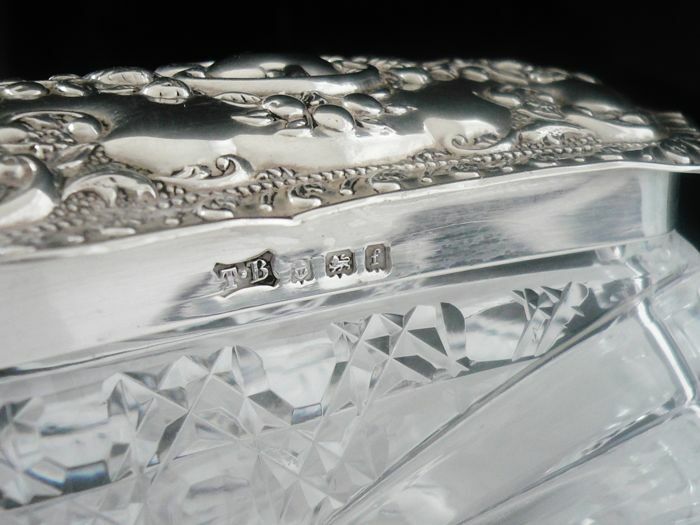 Lid is hallmarked from Birmingham in 1905 with the makers mark being that of Thomas Bishton. 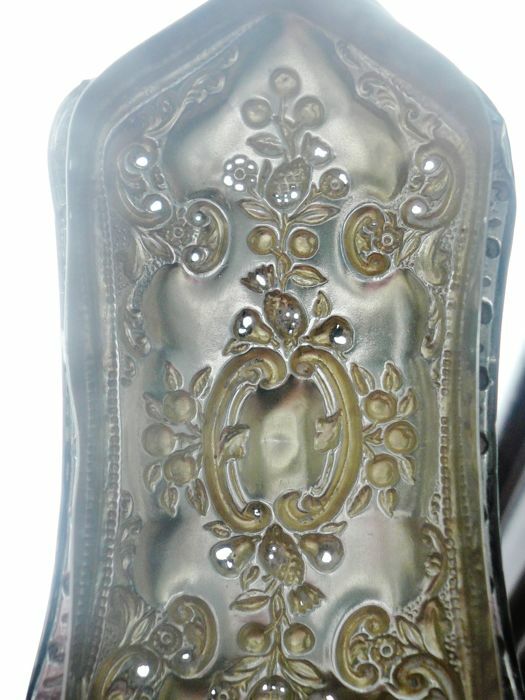 In good clean order, the lid does have some polish holes on the raised areas , not very noticeable from the outside but can be seen when looked at through the inside to out (see last image). 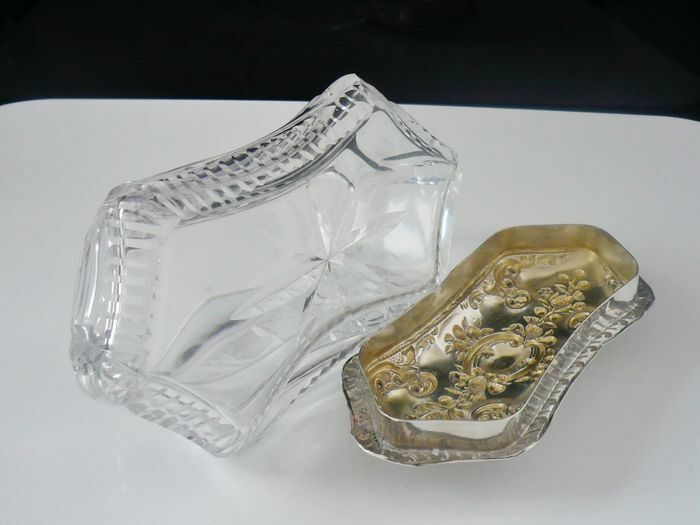 Nibble to glass on one corner, overall a very nice piece. 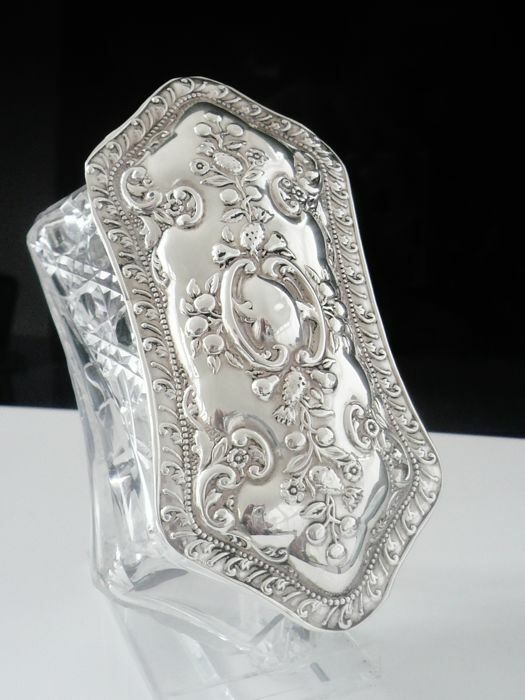 Measures 116x61mm and stands 48mm in height.